One week after his death, family, friends, colleagues and fans are saying good-bye to the man who was dubbed The Original De Fosto Himself. Winston Scarborough died of a heart attack at his Morvant home last Thursday, throwing the calypso community into mourning once again. His death follows the passing of The Mighty Shadow. Speaking at the service being held at the Cathedral of the Immaculate Conception earlier, De Fosto’s son, Marvin Scarborough said his father was among the greats in calypso. He also called him a pro­lif­ic ca­lyp­so composer. Mr. Scarborough, who lives in Brooklyn, New York also, said he only met his father at the age of 22. However, he said his father had a major impact on his life. Former President and calypso enthusiast, Anthony Carmona was also at the funeral. 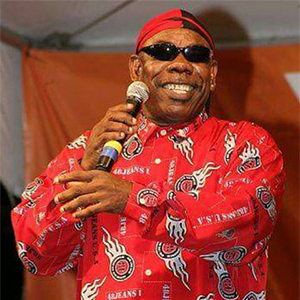 De Fos­to’s last pub­lic ap­pear­ance was at the fu­neral of fel­low ca­lyp­son­ian Win­ston “Mighty Shad­ow” Bai­ley last Tuesday at the Queen’s Park Sa­van­nah. He joined oth­er mem­bers of the community in a mu­si­cal trib­ute at the end of the ser­vice.